There is another mission for you and Mr. Jenkins! 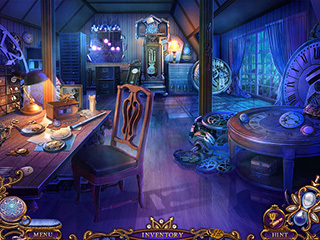 Ominous Objects: Trail of Time Collector's Edition is a new release into the Ominous Object series that you totally need to check out if you are new to the genre or the series. The cat plays an important role in this game just as before. You will often see him in the story-telling part and he is going to be a great helper as you play. This time around, Leia's work related trip turned into a task of trying to help a mountain town that is being paralized by a strange cold. The cold freezes the citizens where it finds them, and it turns the animals into strange ice beasts. The cold seems to come from the clock tower in the town. You and your loyal follow, Mr Jenkins, are going to get down to the point of this mystrious turn of events. By the way, it's not just the town that needs your help but the whole world since the cold is about to spread all over. 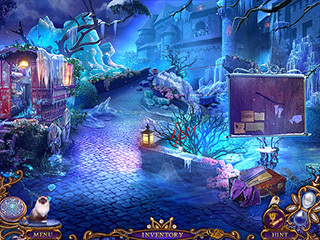 So there is going to be a lot to do for you in this hidden object puzzle adventure game. The cat plays an important role in this game just as before. You will often see him in the story-telling part and he is going to be a great helper as you play. He really reminds of the Grumpy Cat, but he's way more helpful. The graphics of the game are very welcoming despite the story. The colors and shades make the town look like a neat place you actually wouldn't mind being in. The music adds some mystery and dynamic to the game play. All in all the atmosphere is well fitting for the Christmas season providing you a trip to this snowy cold town. While you are going to stop this terrible cold from spreading in the main game, you will learn about what triggered it in the first place only in the bonus game. 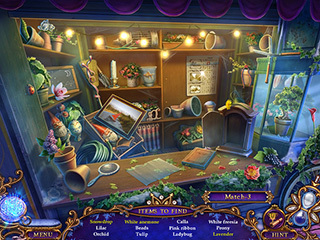 The game is full of the items to look for and the puzzle to solve. Some of them are going to be cat-themed (for the cat lovers). The puzzles differ in their difficulty level. Most of them are quite easy. There are quite a few collectibles and achievements along the main game play. All of your important information is kept in a kind of journal that you can use quite often. Don't forget to keep Mr. Jenkins fed as you try to solve this mystery. This is Ominous Objects: Trail of Time review. Download this game here.